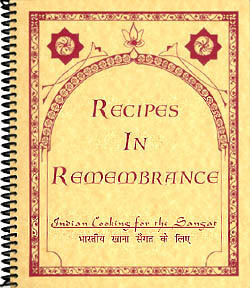 Most of the 100 recipes in this book are typical of daily, north Indian style cooking. They can easily be prepared here in the west, although this may entail a trip to an Indian market to stock-up. They are classic recipes in their use of authentic seasonings and traditional ingredients. Feel free, however, to make your own adjustments and substitutions. In fact, the recipes are deliberately basic and adaptable. Traditionnally, cooks in India don't follow recipes, they rely on intuition and skill. Nearly half of the recipes were lovingly donated by Weena Walia, one of the excellent Bagga cooks, who would have served as personal chef to Sant Ji on His visit to Vancouver. The remainder have been culled from other sources. We hope you will enjoy them. It is sometimes a very small step from routine to devotion. 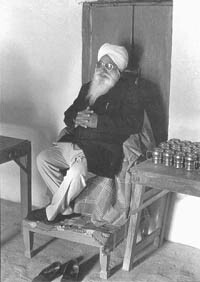 For many initiates, Indian cooking is a tangible reminder of our experiences with the Master, a kind of soul food for the Sangat. It is in this spirit that we offer you these simple recipes  not as a culinary diversion, but as reminder of where your hearts lie.